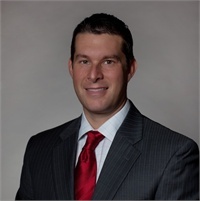 Jeremy Stanley is the founder of CRNA Financial Planning®. He has been providing advice and guidance for Certified Registered Nurse Anesthetists (CRNA) for over 18 years. As a CERTIFIED FINANCIAL PLANNER™ certificant, Jeremy has met rigorous certification and professional standards set by the CFP® Board. He is committed to adhering to the principles of integrity, objectivity, competence, fairness, confidentiality, professionalism and diligence when dealing with clients. Jeremy is also the author of the book “The Wealthy CRNA,” which lays out a foundational roadmap for CRNAs to help them plan their financial futures. Jeremy received his Bachelor of Science in Business from the University of North Carolina and holds securities registrations 7, 6, 63, 65, and 24. He is a member of the Winston-Salem Estate Planning Council, a member of the Wake Forest Planned Giving Advisory Council, President of the Board of Directors for CareNet, and a sponsor for the Forsyth County Humane Society Furr Ball, an annual event that raises awareness and funds for animals who are homeless and neglected. Outside of the office, Jeremy enjoys spending time with his wife, Sara (who is a CRNA), and their children Lauren, Hollyn and Landon, as well as traveling, reading, and wine tasting.